This segment is part of The State of Science, a series featuring science stories from public radio stations across the United States. A version of this story, by Travis Lux, appeared on 89.9 WWNO New Orleans Public Radio. Louisiana shrimpers are facing low prices. They say the business is tougher than it’s ever been, and recently considered striking. Many are looking for creative ways to make more money. Way down Delacroix Highway in St. Bernard Parish, people are laughing and drinking beer under big white tents at the second ever St. Bernard Seafood Market. A handful of boats are docked on the bayou. Shrimpers stand onboard, bagging up shrimp for customers walking by. Charles Robin IV is one of them. Robin says the shrimp are great—the problem is selling them. Like most shrimpers, after a fishing trip he’ll pull up to the local dock, refuel his boat, stock up on ice, and sell his catch to the dock. The dock owner then turns around and sells it to bigger buyers. But that’s not paying much these days. Shrimp prices have been low. That’s why he came to the seafood market today—to cut out the middleman, make a little more money by selling directly to customers. Instead of getting $1.30 per pound at the dock for a medium-sized shrimp, for example, he can get closer to $2.50 per pound. Julie Falgout, Seafood Industry Liaison for Louisiana Sea Grant, says more and more shrimpers are doing this. She says selling direct makes a lot of sense for some people, but it’s not easy. Cutting out the middleman means becoming the middleman. That’s exactly why shrimper Warren Guidroz isn’t so enthusiastic about direct sales. “Too much time involved it’s just too much time,” he says as he takes a break from the hot afternoon sun about a mile up the bayou from the seafood market. For him, selling direct is a gamble. 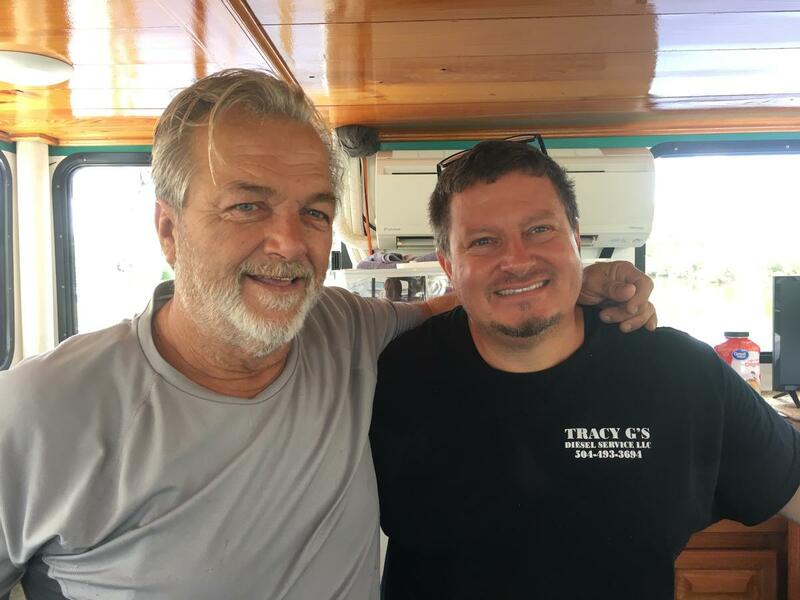 “When you go all day and you get up to five, six, seven thousand pounds of shrimp—you’re going to be while trying to get rid of that,” he says. Guidroz says it’s just easier to sell it to the dock and be done with it. He doesn’t want to spend any extra time chasing down new clients. In fact, there may not even be enough clients near local shrimpers. Falgout says most of the customers who buy direct do so simply because they live within driving distance of these shrimpers. For now, most shrimpers will have to rely on the docks. Another solution would be to raise those dock prices. But that’s tough to do since the industry is competing with foreign imports. According to seafood import data from NOAA, cheap shrimp are increasingly flooding the market from places like India, Indonesia, and Ecuador. 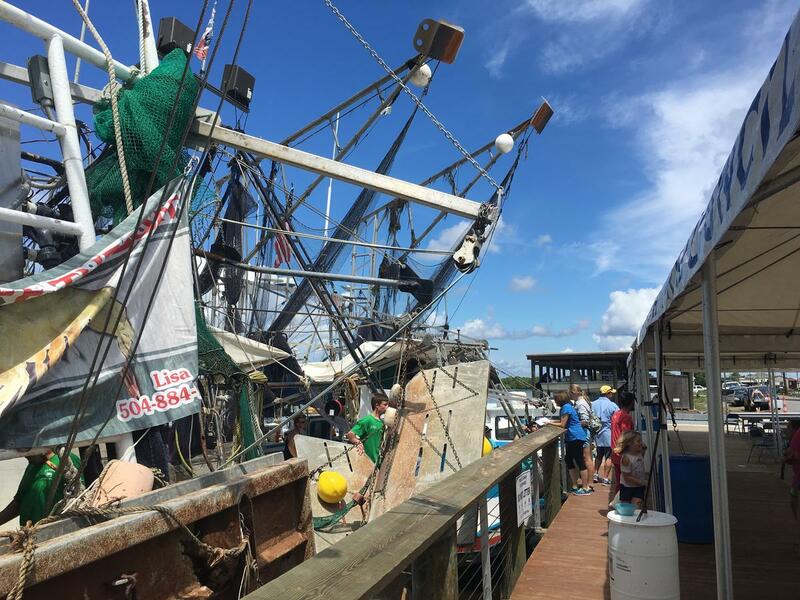 That’s been driving down prices, shrimpers say. Lt. Governor Billy Nungesser is targeting those imports. He wants to convince people that Louisiana shrimp are better. “We’ve got to take this thing and make it a health issue,” he says. A lot of imported fish and shrimp is grown in ponds. Sometimes, farmers raise that seafood with antibiotics that are banned in the US. According to a government report, in 2015, the Food and Drug Administration tested 0.1% of imported seafood for drug residue. Nungesser says if the government tested more of that seafood, more of it would be rejected. He wants the federal government to start imposing a fee of ten cents per pound of imported seafood, and to use that money to pay for more FDA inspectors. Nungesser is asking local politicians to put pressure on Congress to pass the fee. He’s asking parish councils to pass resolutions that state their support for the plan. Resolutions have been passed in Lafourche, Jefferson, and St. Bernard parishes. That plan could take a while. In the meantime, shrimper Charles Robin IV feels he only has one viable option for now: to get out on the water, drop his nets, and drag. Travis Lux is a coastal reporter for WWNO. He’s based in New Orleans, Louisiana. 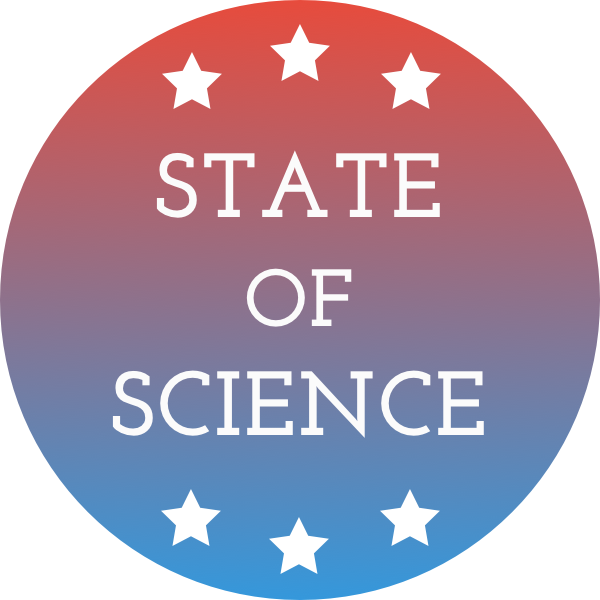 IRA FLATOW: Now, it’s time to check in on the State of Science. SPEAKER 1: This is KPR. SPEAKER 3: St. Louis Public Radio. SPEAKER 4: Iowa Public Radio News. IRA FLATOW: Local science stories of national significance. Pull a bag of shrimp out of the freezer at your local supermarket and check the fine print. You might discover those shrimp come from India, or Indonesia, or Thailand, or Ecuador. We’re importing tens of thousands of tons of shrimp from those countries every year. 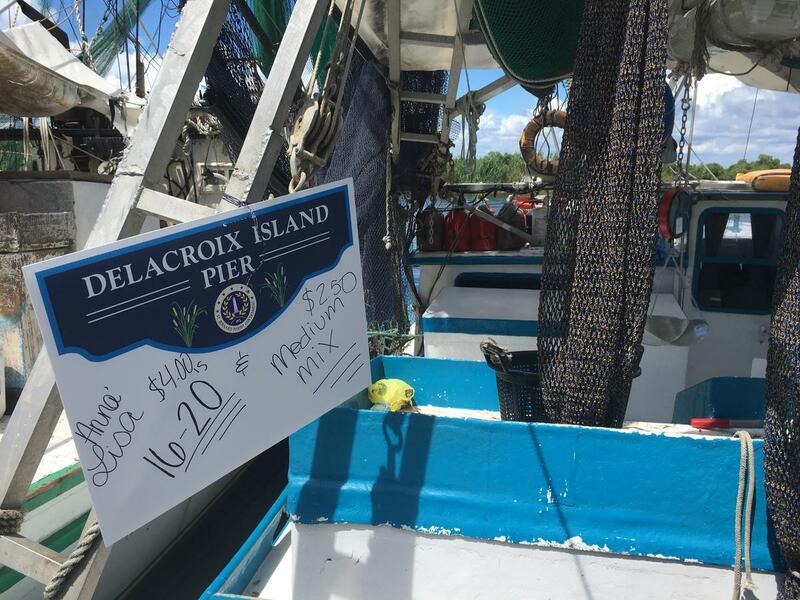 And the shrimpers down in Louisiana say it’s driving down the price they get for local catch. 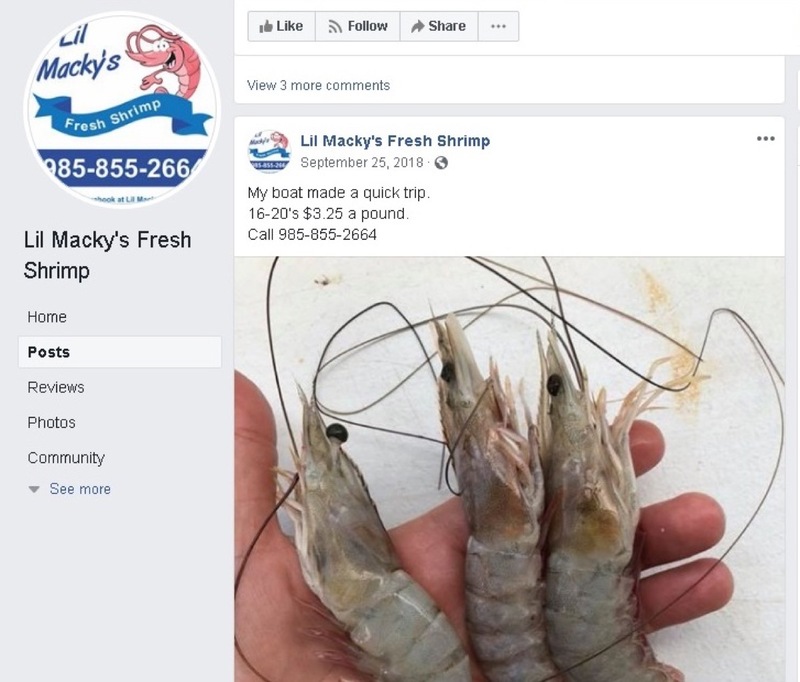 Some shrimpers are working to make up their losses by cutting out the middleman and selling directly to you for dinner tonight. Joining us with that story is Travis Lux, coastal reporter at WWNO, New Orleans Public Radio. Welcome back, Travis. TRAVIS LUX: Hey, Ira. Thanks for having me. IRA FLATOW: And we want to do a special shout-out and welcome to WWNO for putting Science Friday back on their airwaves this week. TRAVIS LUX: Oh, yeah. We’re glad to have you back. IRA FLATOW: Well, nice to be back there. 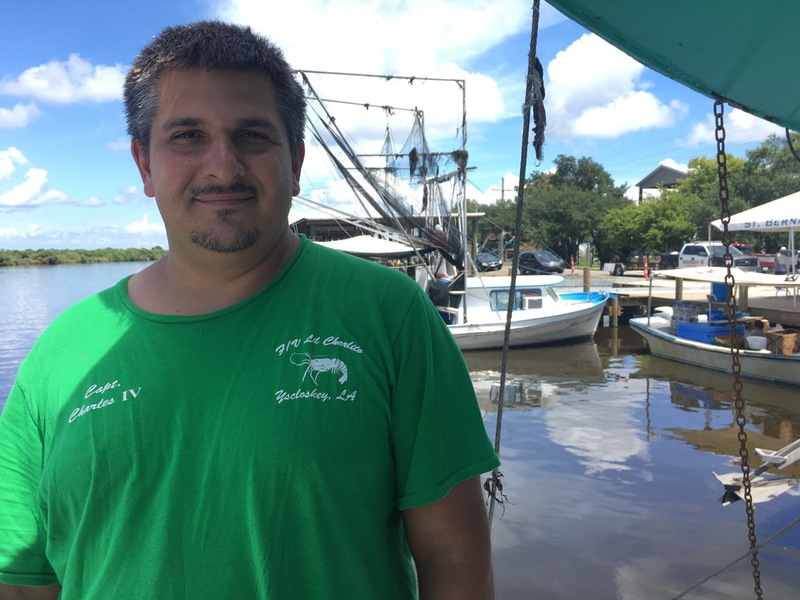 So tell us about the probably– your story says it’s getting harder and harder for shrimpers to make a living. Why is that? TRAVIS LUX: Yeah. Well, you alluded to it there in the beginning. Basically, there are a number of problems that shrimpers point to. But one of the main ones is this issue of imported shrimp. They say this imported shrimp from countries like Ecuador and Thailand– it’s really flooding the market, and driving down the local prices, and making it harder for them to basically get by. IRA FLATOW: Are there any environmental factors at play here? TRAVIS LUX: Well, yeah. So in addition to sort of this longer-term economic story, there’s also been a number of big environmental moments here in Louisiana. There was, of course, Hurricane Katrina back in 2005. And that really kind of wiped out a lot of the infrastructure, like a lot of the homes, and boats, and businesses for a lot of these shrimpers. And then, of course, just five years later as a lot of these folks were recovering from Katrina, that’s when the BP oil spill hit. And so that was actually that– the spill happened on the first day of the summer season of the summer shrimp season here. And so that wiped out the whole– canceled the whole summer season. And shrimpers still say they’re recovering from that spill. IRA FLATOW: In fact, you talked to a shrimper named Charles Robin IV. And we have a clip of him here explaining the situation as he sees it. CHARLES ROBIN: It’s been real bad. The shrimp we catch in it– we can’t even get average $1 a pound on a smaller shrimp. We’re getting like $0.75, $0.60. And you need thousands and thousands of pounds just to try to get the expenses, and it’s been rough. So whenever we get marketable shrimp, yeah, we try to go to markets and take orders from people. And my wife– she just gets onto Facebook and just advertises we’ve got shrimp. And people message us. And we just try to get what we can get. IRA FLATOW: Facebook to sell shrimp. There’s an idea. TRAVIS LUX: Yeah. So basically what’s going on here is they’re trying to cut out the middleman to make as much as they can per pound. So that means selling directly to consumers as much as possible. So you’ll see if they have the time to have more of a presence at farmers’ markets, or to create a presence in random parking lots, or just sell off their boat as much as possible. So yeah, in a lot of cases– I mean, it’s turning to Facebook to say, here’s what I caught today. Do you want some? We’ve got X amount of pounds of medium-sized shrimp. And so it’s kind of interesting. IRA FLATOW: Are shrimp on President Trump’s Chinese tariff lists? TRAVIS LUX: They are on that tariff list. It’s kind of hard to say, though, how much of an effect that will have. Because China is just outside the top five of countries where some of these imports are coming from. So it’s kind of hard to say what effect that will or won’t have at this point. IRA FLATOW: Any predictions on your own about how this is going to play out? TRAVIS LUX: I don’t know. I think that it’s really just unclear to me. This issue has been going on for so long here in the state that it’s a little bit hard just looking at recent history to see anything changing with the prices for shrimpers. So I kind of expect it to stay like this for a little bit longer, frankly. IRA FLATOW: Well, we’ll check back in with you, Travis. Thank you for taking time to interview with us today. TRAVIS LUX: All right. Thank you. IRA FLATOW: Travis Lux, coastal reporter at the New Orleans Public Radio and a special thanks and hello to WWNO, and WRKF, and all our listeners in Louisiana. Good to have you back. Speaking of back, we’re going to take a short break and come back and talk with Tom Friedman about the Green New Deal. If you’d like to talk about it, we’d love– welcome you– 844-724-8255. Stay with us. We’ll be right back after this break. Every night, the largest migration on Earth happens underwater. Now, engineers say their collective movement could create ocean-mixing currents. Declining numbers of endangered right whales has sparked a debate about the impact of Maine’s lobster industry on the dwindling numbers.